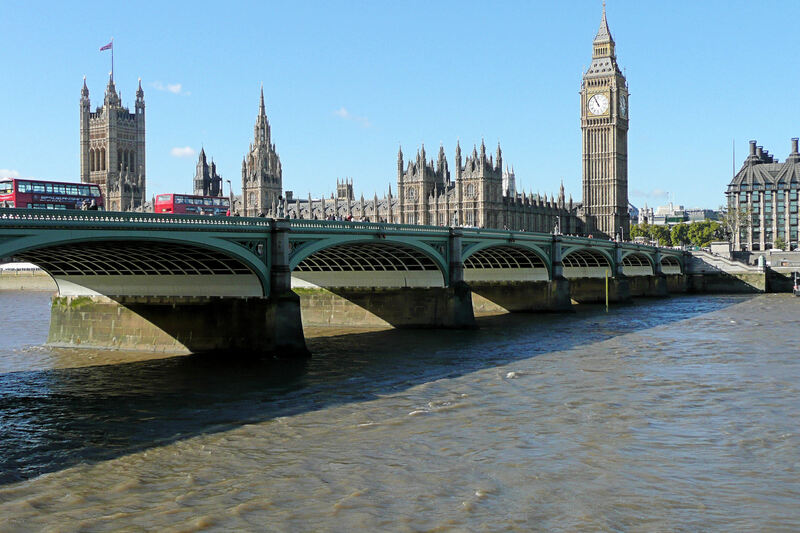 It’s just over two weeks until the boy and I visit the glorious capital of England. Well, I say glorious, but I’m merely making an assumption… *whispers* I’ve never actually been. The boy has been filling my head with all the wonderful things that we can see and do. So, I’m taking Chelsea’s advice and making a plan. Thanks to your suggestions on my previous London post, here are just a few of my ideas for our two day trip. Yes, you’ve guessed it. 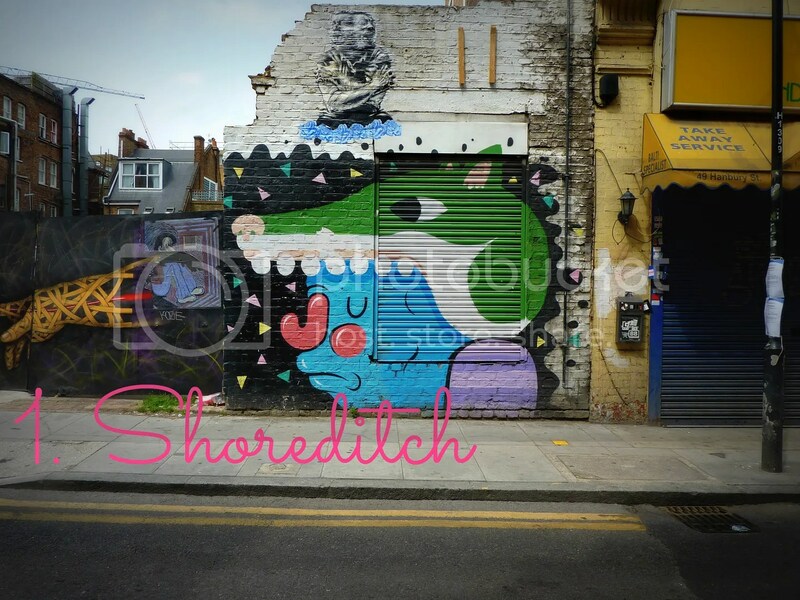 Right at the top of my list of places to visit is Shoreditch. Erica, knowing me as well as she does, was one of the first people to suggest that I visit. One Google Image Search later revealed an urban gallery of street art’s finest; Roa, Jimmy C, Stik, Alice Pasquini…need I say more? Luckily, we’re staying near Shoreditch so an afternoon with the boy as my street art tour guide is definitely on the cards. Five years ago, I discovered the David Hockney painting, ‘Mr and Mrs Clark and Percy’. It was part of my research before teaching a unit of work entitled ‘Portraying Relationships’. For years I displayed it for a term, as I taught the topic, and grew quite attached to it. The inferred meaning by the positioning of the married couple and their cat, Percy, always humored me. Little did I know that the subjects were iconic textile designers Celia Birtwell and Ozzie Clark. You have seen me declare my love for Birtwell’s iconic floral prints many a time before. That’s why a trip to Tate Britain to visit Mr and Mrs Clark and Percy is high on my list. I recently discovered Walk London, a website offering a font of knowledge for self-guided London walking tours. The Westminster Walk appeals to my adventurous nature. With London’s famous landmarks littering this route, I’m dusting off my boots and hoping the weather stays fine. Although, with my personal tour guide keeping me company, who knows which parts of London we’ll end up in? I’m kidding. I’m over three weeks into the spending ban (22 days to be precise) Arriving in London will mark my halfway point and shopping in Covent Garden would be torture. I’m also saying no to Oxford Street. Instead, I plan on using my energy to see London’s cultural side. I’m sure the boy won’t complain at an enforced no shopping rule. What are your experiences of London? Pssst! Did you enter the Brit Pack Gives Back giveaway? £100 ASOS voucher to be won, just click here!